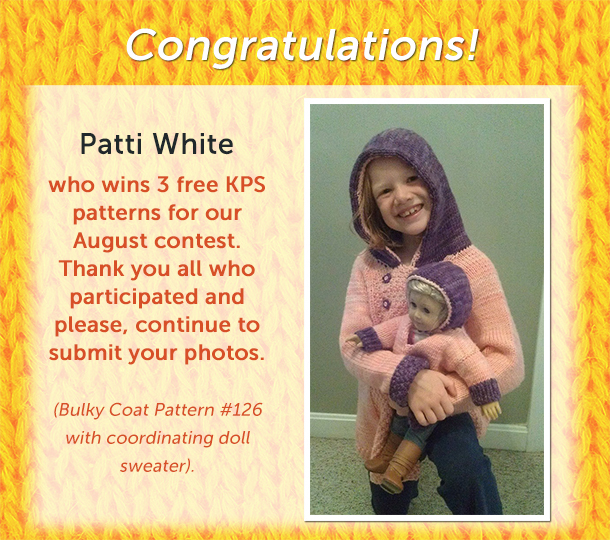 Congratulations to Patti White who wins 3 free patterns from Knitting Pure and Simple for submitting her photo on our Facebook page. (And yes, if you won before, you can still submit for another chance to win again). Are you working on a KPS pattern? If so, take a photo and share it on Facebook for a chance to win 3 free KPS patterns.